Smiling from delirium inspired by lack of oxygen. I want to die. But first I want to kill my editor, then the PR woman, then the smug athletes racing past me. 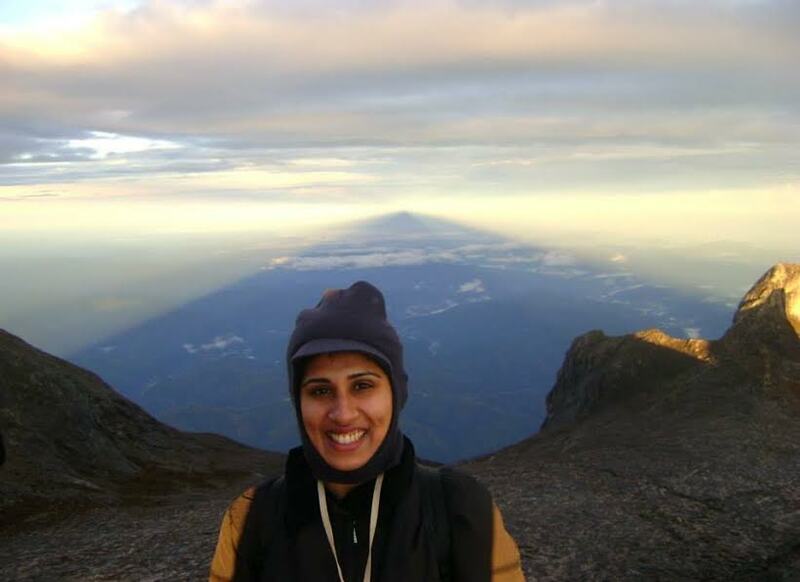 It is this train of morbid thoughts that sustains me as I struggle up South-East Asia’s highest peak – Mount Kinabalu. It is dark, about 2.30am and freezing. I have my thermals on but quickly discard them as the energy needed for the climb generates body heat. I am aching in places I didn’t know existed. I am finding new reservoirs of endurance as my mind baulks at the miles still above me, illuminated in the dark by the twinkling trail of headlights as climbers crawl to the summit. But I am not in the mood to appreciate the beauty of the scene – the stately neighbouring peaks and wispy white clouds enveloping us as we ascend into the sky. The mountain is in Kota Kinabalu, Borneo in the state of Sabah, about two hours flight from the Malaysian capital Kuala Lumpur. It stands 4,095m above sea level and to conquer the beast requires a round 17km two-day trek. Mt Kinabalu is regarded as holy by the local Kadazan people who believe it is a resting place of the spirits of those who have died. The Kadazan perform regular ceremonies to protect climbers attempting the trek. That a team of people are praying for my well-being calms me down. We start Day One at 8am on Ground Zero ready to scale a 6km trail made of steep formed steps and large rocks. The climb operator, Mountain Torq, provides our group of journalists with a guide, Taising Samadin who becomes my personal saviour. Taising is a 55-year-old Malaysian man who has been conquering the mountain for over 30 years. He has smiling eyes and accompanies me patiently through rock falls, tricky crevices and hallucination-inducing altitude. He is my Tenzing Norgay in the Everest-like battle for this non-sporty beginner to accomplish the impossible – reach the summit before sunrise the next day. We reach the Mountain Torq’s Pendant hut at base camp at around 2pm where we will spend the night and then prepare for the final haul of the journey the next day. I am feeling weak and mumble to the group something about “this not being my thing” and staying at base camp. The group (all men of superior physical strength) look at me in pity. Georgia, the PR woman, assures me it is my choice to go on. There is only after all 2.7km left to reach the summit. It would be a shame to stop now. But it is the last leg which is the steepest, with more climbing and using ropes to scale steep rock in high altitude. I think of my story and the impossible triumph. I think of who I represent – women, the unfit, the fearful. I must do it for them. Taising tells me to hold his hand, I grab him like a liferaft as he navigates my climb through our last kilometre. We have done the scary rope climbing and now are doing the steady upward climb across smooth rock, our legs like lead. We have passed the checkpoint where those deemed unfit are turned back or voluntarily retire. But the idea of going back through those ropes is more painful than going forward. I munch on the granola bars with Taising as we silently scale forward. The summit looms ahead but is still so desperately far. It is a sheer almost vertical rocky drop which stands separately on the flat part of the mountain. Finally, I am at the top. I understand why this mountain is considered sacred. We are on top of the world, with the orange red colours of daybreak bathing us, high above the clouds. I feel like dying. But this time in a good way. My satisfaction at having reached the summit is dampened by realising we still have to go down. Many climbers maintain that the steep 8.7km trek back down the mountain is the most difficult as jelly knees struggle to get a grip on slippery rock. I take my time hobbling down. When I see the team back at the hut, they are pleased and proud of my accomplishment, especially since being lean, mean climbing machines even they found the trek an intense challenge. If you are considering the trek be sure to cushion your journey in the comfort of five-star luxury. We land in Shangri-La’s Rasa Ria resort post climb and are rewarded with a luxurious room with an outdoor hot tub, spa massages and attentive room service that provides a welcome balm to our exhaustion. Our preparation for the climb was spent lounging in Sutera Harbour’s Magellan Sutera hotel in Borneo. Sutera Habour resort provides adventure packages to the mountain and to Poring Hot Springs where you can rest your weary limbs in hot baths in the World Heritage listed Kinabalu Park rainforest. It hurts to walk but the pain wears away as amnesia sets in and I start to grasp my achievement. I am quick to share my mountain war stories to whoever will listen, bragging unashamedly about my triumph in Borneo. I find that every Malay I meet has a mountain story – those who have climbed, those who failed and those who are thinking of climbing. We share strategies, stories and memories. I wave around my certificate of completion. I find I am now part of an exclusive club – those who have reached the summit. Malaysia Airlines flies 47 times a week from Australia to Kuala Lumpur and has regular connections to Kota Kinabalu. To book a holiday to Malaysia, call Flight Centre on 1300-939-414 to book or visit: www.flightcentre.com.au/world-travel/malaysia. * The writer was a guest of Malaysian Airlines, Sutera Harbour Resort and Shangri-La Rasa Ria resort in Borneo.